Surviving University One Week at a Time....: Room 101. After reading a blog from a fellow blogger about Room 101 and the things that they'd banish, I figured that I'd share my list. We all have things in life that we mildly dislike/don't see the point of actually existing/particularly hate and these things should be firmly locked into this room, never to see the light of day ever again. Below is my list of things that should safely be consigned to the hell that is the Room 101. 1. Moths - Let's be honest, they are one of the most pointless species that exist in the world. Butterflies - very cute, very pretty and hey, they help pollinate the flowers, making them way more useful than their night time counterpart. 2. Bad Directions - If I'm lost and need directions, giving me bad directions really really really doesn't help. I'd much rather you didn't tell me, just admit you don't know rather than send me on a wild-goose chase. 3. The 'Candy-crush' Game - So many people I know seem to be hooked on the game that's sweeping the nation. My parents, siblings, cousins and many other friends of the family will not put the game down... For a fairly simple game, its incredibly addictive and I'm sure that its ruining conversations and family time up and down the country. 5. Bad Manners - With the risk of sounding like my nan, manners cost nothing. There is no need to be rude. Please and thank you cost nothing and you never know, you could make someone's day a little. 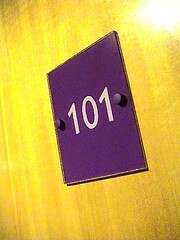 I'm sure everyone has a list of things that they'd put in the Room 101. Anyone who has any particularly weird or wonderful ideas for what they'd banish, comment below.